Peacock Beach on Pleasant Pond is located near Augusta, Maine. Just 12 miles from the capital city of August, Peacock Beach State Park on Pleasant Pond is easily accessible and popular with Maine residents. The park offers a small beach and swimming area, which are staffed by a lifeguard during summer months. 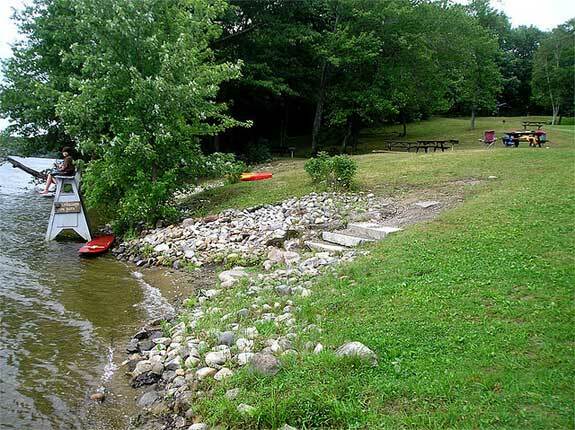 Peacock Beach is a great place for a family outing, with several picnic areas open to the public. The Town of Richmond is now managing recreational use of the park; contact the town at 207-737-4305 for more information about park fees and hours of operation.